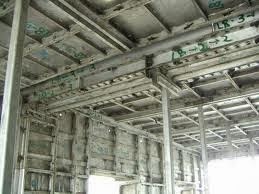 Formwork companies are making all efforts to innovate new systems for better and quicker results. Taking cue from the developed world, Indian construction industry has started using some of the world class technologies. Several formwork systems are in use at different places in the world; eventually the systems which are reasonably economical and easy for operation with skilled labour are more useful in India. Leading players in this industry are Doka, Mascon System, MFE Formwork Technology (Mivan), Meva, Waco, Forming Access and Support, Inc (FASI), Peri, BSL Scaffolding, Uday Structurals & Engineers, Paschal and Pranav Construction Systems. In this article we are listing four exciting innovations from the world of formwork system. Different systems have their own advantages but one needs to choose a formwork which best supports individual project requirement. The Mascon Construction System is used for forming the cast-in-place concrete structure of a building. Developed in the late 1970s by WJ Malone, a Canadian engineer, the Mascon System has been used extensively throughout the world. It is fast, simple, adaptable and very cost effective. 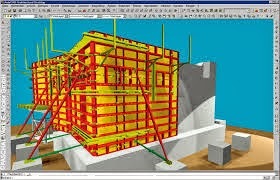 The System is most effective when combined with loadbearing wall structural design. The Mascon System is unique because it forms all of the concrete in a building including; walls, floor slabs, columns, beams, stairs, window hoods, balconies and various decorative features in exact accordance with the architect’s design. The System consists of hundreds of hand held pieces of formwork equipment, manufactured to fine tolerances. The majority of the equipment is comprised of panels while the rest includes vertical and horizontal corner sections, bulkheads and special floor slab beams that can be dismantled without disturbing the props supporting the floor slab concrete. Ninety-nine percent of the Mascon equipment is made of aluminium, the other one percent is steel. Unlike other construction systems, the use of aluminium allows the larger components to be big enough to be effective, yet light enough (less than 30 kg) to be handled by a single worker. Consequently, the need for cranes or other heavy handling equipment is eliminated. All of the individual pieces of equipment are joined by simple steel pins and wedges and the only tool required in assembly is a hammer. This eliminates the need for skilled workers. The Mascon formwork can be used to form both concrete structural designs – i.e. traditional RCC frame design or loadbearing wall design. MFE Formwork Technology (formally known as Mivan Far East) is a revolutionary aluminium formwork construction system, which has been used quite extensively in India. Using this unique formwork, all walls, floor slabs, columns, beams, stairs, balconies, together with door and window openings are cast in place in a single site based operation. The resulting building structure is very strong, accurate in dimensions and tolerances, with a high quality of finished concrete surface. It is fast, adaptable and very cost effective. MFE Formwork makes use of concrete as the principal building material for the prime reasons of cost and accessibility. It can construct all type of concrete structures. The basic element of MFE Formwork is the panel which is a framework of extruded aluminium sections, welded to an aluminium sheet. This produces a lightweight panel with an excellent stiffness to weight ratio, yielding minimal deflections under concrete loading. Panels are manufactured in standard sizes with non-standard elements produced to the required size and shape to suit the project requirements. The panels are made from a high strength aluminium alloy, with the face or contact surface of the panel, from 4mm thick plate, which is welded to a framework of specially designed extruded sections, to form a robust component. As MFE Formwork can be reused over 250 times, the initial cost appears high; however the ultimate cost per sft of forming area is less when compare to traditional methods. The Paschal Group, specializing in concrete formwork, shoring systems and formwork design software globally, has recently opened their first distribution and production facility in India. Its production company, Paschal Form Work in Visakhapatnam, concentrates on products such as the Modular universal formwork as well as the innovative modular slab formwork E-Deck with steel frame, which can also be used on building sites that have no crane. With the modular slab formwork E-Deck, Paschal presents a particularly robust product, specially designed for use on building sites where no crane is available and, furthermore, can be used everywhere where aluminium should not be used. The frame of the new elements is made from profiled steel and, with a height of 7.5 cm provides very good grid compatibility and flexible application options, for transportation as well as for installation. The facing of the formwork consists of a 9-layer, 12 mm thick sheet of birch plywood, so that the weight of the individual elements is a maximum 20 kilograms and can be used with no problem without a crane. The E-Deck has the advantage that damage to the frame can be repaired, which is not possible on comparable aluminium products. Panel slab formwork has an advantage over flex-formwork that the panels are protected and more durable. Because the panels are attached to one another, as opposed to flex-formwork, they are considerably safer. One of the biggest names in the industry, Peri provides innovative formwork and scaffolding systems. With 55 subsidiaries and over 100 large logistical locations around the world, Peri operates in over 70 national markets. The company offers Uno Monolithic Housing Formwork which is used for monolithic construction method. The Uno formwork is predominantly used for residential housing development and similar, whereby large numbers of residential units with identical dimensions are extended horizontally and vertically. The design of the slab formwork as drophead formwork allows early striking to take place – usually after only one day. For setting of stopends and box-outs, Uno Stopend Plates are available, which are adapted to the wall thicknesses in 1 cm increments. In addition, the integrated toothed rack of the shuttering strip absorbs the concrete load and thus replaces the formwork tie. Hello my friend! I would like to tell you that this write-up is awesome, great written and include almost all important info. 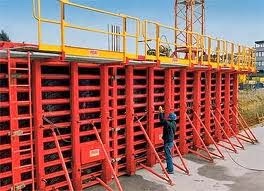 I recently came to know about www.bofuform.com/, their Modular Column Formwork are very effective. It is a stunning post. Exceptionally valuable to me. This is very useful and helpful blog.Thanks for share. It is great to share valuable information to people about the formwork types and inform the readers how efficient it is and faster way to build the walls of a building.